Putting aside everything else pertaining to this story, including my belief that what we are now witnessing could very well be the beginning of a seismic shift in terms of practitioner – vendor relations, the Court’s ruling opens an interesting possibility going forward. Specifically, how would executive personal liability impact a vendor’s approach to both pursuing and winning business? Remember a few years back, when the business world was awash in financial reporting scandals? The end result of that sorry period in corporate leadership history, was reflected in the changes to the law whereby the principal executive and financial officers of a public company had to certify that their annual and quarterly reports were accurate and complete. Said executives also had to verify that they established and maintained adequate internal controls for public disclosure. Should we expect any less from executives in terms of vendor implementations – especially in the procurement world? What if company executives had to personally guarantee that they had performed a “capability audit” before entering into a contract, verifying that they could indeed deliver a working solution within the appointed time and for the agreed upon cost. This capability audit would then become the basis to hold not only the company, but the executives themselves, personally liable if said implementation did not occur has promised. Might this be the first important step towards obliterating the “let’s win the business first, and then worry about making it work later” mindset that has, for far too long, permeated our industry? 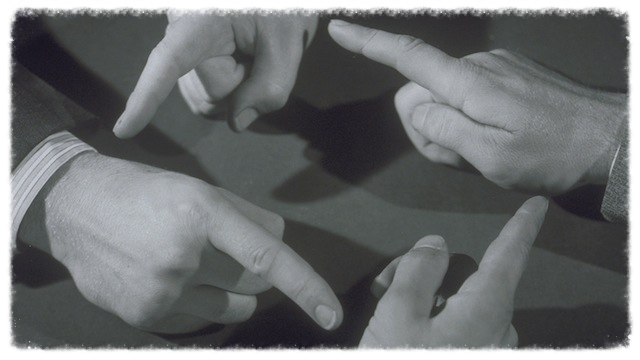 Executive personal liability: The end of finger pointing for failed initiatives? I think there are two procurement angles to take on the Oregon/Oracle case. One is, of course, how things would be different if CEOs at solution/service providers were held personally responsible for the failures of projects that take place under their watch. The other is more general, and relates to everything procurement does. I don’t think we can bake this sort of liability into contracts before something goes wrong. What does it really mean to sign a contract? A contract creates a two-way obligation. 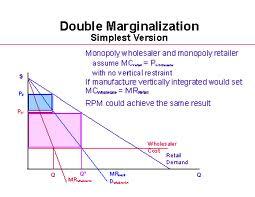 In an extreme simplification: the supplier organization agrees to deliver and the customer organization agrees to pay. There are consequences for both parties if these steps do not take place as expected. If the contract and the terms contained within it are not sufficient to ensure that the arrangement works to the extent that we have to make individual executives personally accountable, the system is extremely broken. Wouldn’t the next logical step be that individual (procurement) practitioners have to personally guarantee payment to suppliers? While this is a very interesting case, and I agree that it would change the playing field dramatically, I think everyone involved in commercial activity needs to find a way for organizations to be held appropriately accountable. If the contract is signed at the organizational level, that is where the liability should reside. If individual executives act deceptively or maliciously and cause harm, that’s when the criminal/civil legal options kick in, just like in the Oregon/Oracle case. As we just saw with VW and their diesel engine emission defeat devices, if you act deceptively, you get fired and may face criminal charges. The parties who were harmed can go after the deceptive organization for everything it has, potentially listing individual executives as co-defendants. (a) found an organization that we probably should not be doing business with any way. (b) reached an impasse in an environment where the greatest value comes from strategic or collaborative supply partnerships. You can’t be collaborative with a company that you are so suspicious of that you force their CEO to put his personal guarantee on the deliverables – unless of course procurement is willing to do the same. But here is the thing, similar to when Sarbanes-Oxley required executives to start signing-off on their company’s financials as well as ensure that proper procedures were in place in terms of capturing accurate financial data, holding senior executives accountable in a similar manner for implementations means that they will have to really take the time to assess if their solutions and capability to implement them in a specific client situation is feasible. This necessary pause for thought I think is in and of itself an ideal filter through which to assess stakeholder strengths and weaknesses, and bring them to the table before a contract is signed. In other words, it forces open and thorough collaboration on the part of all stakeholders. While different and certainly requiring more pre-sales/contract legwork, I cannot see how this is a bad thing. The key is to make certain that the pendulum of accountability does not swing too far over in favor of the end-user client, as all parties are ultimately responsible for an initiative’s success. This is a really interesting question. On one hand, how do you make organisations more rigorous in their proposals if you dont hold senior people accountable. Likewise a contract should be a safety net although we all know everyone has lost when it goes to the legal side. The truth is probably somewhere in between. It must be very difficult for a senior executive to know what is going on everywhere in the company, but also due to that it is their responsibility to ensure the correct people and processes are in place to stop issues like this arising and thus there is a level of accountability. Politicians are always an interesting case. Sometimes when something has gone wrong through no fault of their own, they will fall on their sword (or not…depending on public opinion). On other occasions they can make promises during an election campaign, not deliver and face no consequences whatsoever! This is one of the reasons why the Supreme Court decision is so interesting. It is a game changer that is perhaps long overdue. Think about the high rate of eProcurement initiative failures – some place it as high as 80%. Coupled with the total lack of coverage, these failures have been relegated to the shadows. In fact one senior procurement official from a major hotel chain recently told me that an abusive relationship between vendors and customers is common in that the customer is embarrassed (and even ashamed) to openly discuss a failed project, because they are made to feel that it is their fault. As a result they remain silent. However, if instead of just taking on the vendor, they can also include the individual executives personally, then that may be the equalizer and the beginning of the end in terms of the “let’s win the business first and worry about making it work later” approach that some vendors have been known to take in the past. I think if nothing else it brings into question whether there is still any advantage to dealing with a large supplier. Logically speaking, they can’t have it both ways. – They can not possibly be expected to know everything that is going on, which weakens their potential effectiveness as a leader and diminishes the advantages of working with a large supplier. I am still unsure if leaders should be personally liable, but either they know what is going on (and are accountable) or they don’t – and if they don’t, I think it creates a new kind of risk that procurement needs to take into account when making award recommendations. Once again, and form my perspective, I believe this is a game changer in terms of where our industry is heading. I do believe that senior executives should be held accountable for the inability of their company to successfully implement a solution, in the same way that Sarbanes-Oxley made them accountable for signing off on their company’s financials. It would certainly lead to tighter controls and shift the focus from making the sale to delivering on the sale’s promise to the end customer. Once we were faced with an opportunity that we lost as the competitor who had an inferior but cheaper solution promised to develop a capability within months to the potential customer. We lost out on this deal and no surprise when the competitor didn’t deliver this capability in the short or medium term or maybe still hasn’t. The point being that there was no accountability for this issue and the customer once moved down this particular route was not easily able to change. Obviously the contract is somewhat to blame but would it actually be useful to go down that route. Some personal accountability would help. Even if not many senior executives find themselves in court, the presence of this punishment might make them think twice and get the right people and processes in place to mitigate this risk. I could not agree more Alun. Once again, and similar to Sarbanes-Oxley re the sign-off on the veracity of the company’s financial statements, executives should also be required to sign-off on initiatives. Especially when there are taxpayer dollars involved. Really interesting article and even more interesting discussion – In response to your reply to Sarbanes-Oxley and the accountability of high level executives. In the UK, the Modern Slavery Act has just been put into law and, requires companies to publish their practices and policies toward eradicating Slavery in their supply chain, and rightly so their Executives must sign off this and put themselves at risk of hefty fines and/or potential Jail time. It poses an interesting question in this case of the Modern Slavery Act, should an implementation of a technology or process go wrong at the hands of the vendor and fail the customer in allowing them to properly mitigate slavery in their supply chain effectively thus putting the customer executives at risk, would there be a case to pursue litigation against the vendor and by extension their Executive team? Now that is a very interesting question Mike, in that it represents a cause and effect element that I hadn’t thought of before. Could the executives of the client or buying company hold the vendor’s executives liable for their failure to fulfill their personal obligations relating to the Modern Slavery Act? Would that be a viable defence in a criminal case and/or a viable claim under civil law? I am reminded of the case involving a major retail drugstore chain who went bankrupt. Citing a failed SAP implementation as a main cause of the chain’s failure, the receiver sued the vendor. SAP settled out of court for an undisclosed amount. This would, at least in my opinion, suggest that holding a vendor (and even its executives) accountable in the scenario you described, should not be summarily dismissed as being unreasonable. Any thoughts from our readers or those who have already commented? I am unclear how much difference this would make. Normally company directors have some sort of professional indemnity. So they would not pay personally in the event that a contract was not properly delivered. However, the company for which they work might find itself having to pay much more for professional indemnity when its renewal came up. It is not unreasonable to expect the purchaser to undertake due diligence. However, there is an element of the power of the respective parties. Small companies will struggle to undertake serious due diligence if they are dealing with global companies. However, companies such as Ford could hold such companies to account if implementation did not work out as planned. Re eprocurement systems, many suppliers consist of little more than enthusiastic amateurs and purchasers of them are often little better. Business cases can be based on optimism with little idea of the potential benefits and how to achieve them. For example, to make good use of the data that such systems can provide, one often needs to employ some reasonably skilled staff. This tends to be ignored in business cases. Re efficiencies, these often depend on savings bits and pieces of staff. Saving 5% of the time of an MD’s PA is not going to result in any cost reduction – but this sort of thing tends to be included in business cases. There can be benefits in reduced risk of fraud and greater contract compliance, but calculating the potential for these is not the job of the supplier and can be very difficult to calculate. So, I am ambivalent about Oregon’s ruling. It sounds more impressive than it really is. However, I am prepared top be proved wrong. Thank you for adding another important dimension to this discussion Colin. Your observations demonstrate that we cannot determine a course of action based upon a black and white assessment or an overly simplistic approach to what is definitely a complex problem. Especially given that the latter usually leads to a reactive pendulum effect, as opposed to a balanced and reasonable resolution.